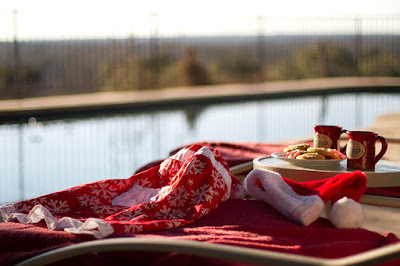 Ringing in the new year in the Texas Hill Country at the relaxing Inn Above Onion Creek bed and breakfast is a great way for Mr. and Mrs. Claus to celebrate another successful holiday season. 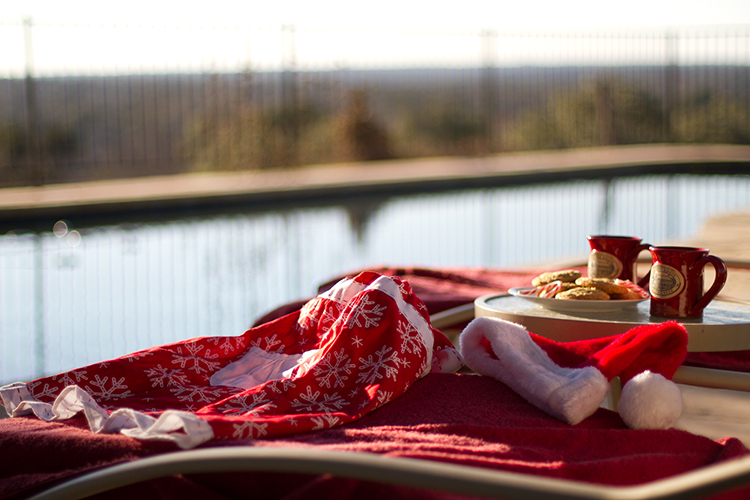 While most guests at the Inn won't be using the pool anytime soon, Santa and his bride find the cool waters refreshing compared to the frigid waters of the North Pole. January is a big month for vacation planning so be sure and make your reservations soon for your next visit to the Texas Hill Country. Try something exciting in 2011 like a trip to Wimberley Zipline Adventures. You don't have to go to Costa Rica to enjoy flying high above a canopy of trees. Wimberley Zipline offers 8 separate ziplines with almost a mile of zipline flying. A educational walking tour and gorgeous 15 mile views highlight the 2 hour adventure. Visit www.wimberleyziplineadventures.com to book your flight.